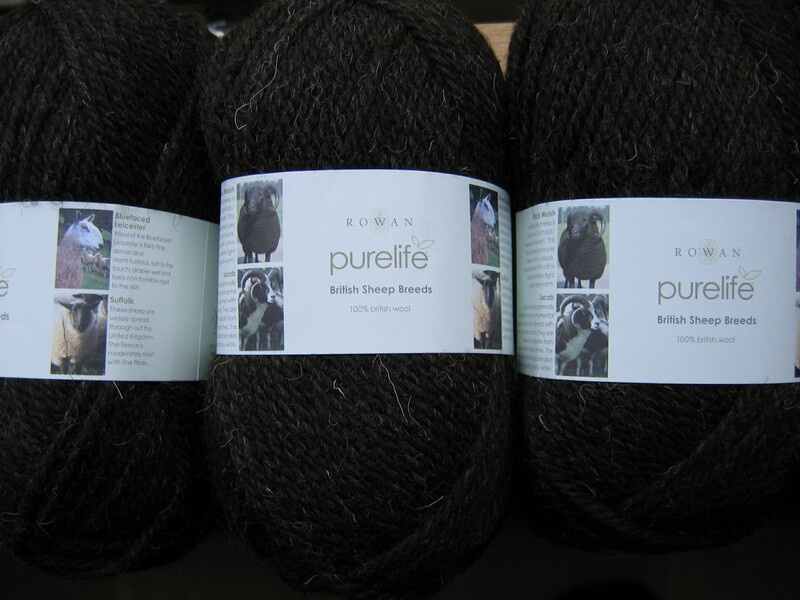 My Rowan Purelife British Sheep Breeds yarn arrived the day before yesterday from English Yarns. I bought ten balls so I got the whole bag. And even the plastic of the bag is degradable, they even thought about that. This yarn is so lovely. It feels a lot nicer in your hands than I thought it would. Of course it isn’t a soft yarn, but it feels nice and firm in your hands. It isn’t itchy like mohair can be. I have fallen completely in love with this. I love the colour too, the natural colour of the Black Welsh sheep, isn’t that cool? It is a very dark brown, with some white hairs mixed with it and now and then a red hair. It makes a nice contrast to the dark colour. I couldn’t resist casting on for Ambleside from The Rowan Purelife Winter Collection. I made a swatch first, and was getting the right gauge (13×22) with the recommended 7 mm needles, but I didn’t like the fabric this was creating, I found the stitches too loose. So I am using 6 mm, and getting 14×22. So mine will be a bit tighter, but it does fit around my hips, so it should be okay. 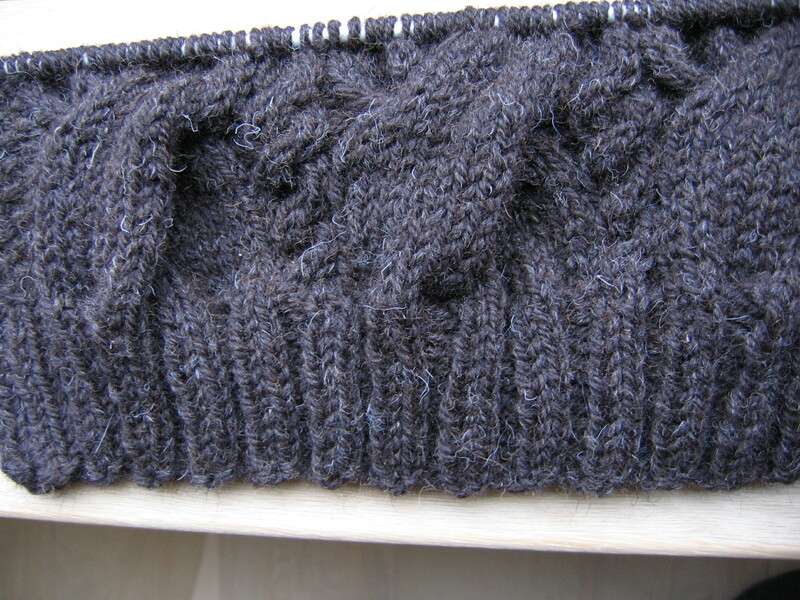 I am wondering if it will bring me into trouble when I have to fit the sleeves in the armholes, but I don’t know. Because the length for the armholes is given and I am not changing that, will the sleeves be to small for it? I guess I will find it out while knitting this one. I find this maths things to be very complicated. The yardage of this yarn is really good for a chunky yarn, I still haven’t finished the first ball. It also smells really nice, lanolin, but not too much. I love the sheep smell. I am definitely going to try out more British Sheep Breeds. This yarn is worth it’s price. I am really glad I decided to go for it. I don’t think we have this sheep in The Netherlands. I never saw one. I saw on another website a sheep that looks very much the same and was called Black Welsh Mountain Sheep. It is a hardy sheep what can live practically on it’s own in the hills. It is also a rare breed. The normal Welsh Mountain Sheep is white, this is a variation of it. It is known as a friendly sheep.